Topics: Projects, Resales, Rentals & Land, Buying In Cyprus, View This Project, and Kolossi Town Houses. achrmichael.com Limassol property fpr sale | limassol Property developers | Cyprus .. The site has about 37 users daily, viewing on average 1.80 pages each. Its 2 nameservers are ns1092.websitewelcome.com, and ns1091.websitewelcome.com. It is hosted by Theplanet.com Internet Services Inc (Texas, Houston,) using Apache web server. 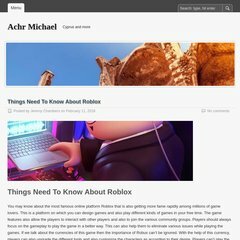 Achrmichael.com's server IP number is 174.120.202.187. PING (174.120.202.187) 56(84) bytes of data.